International key opinion leader in Minimal Invasive Cardiac Surgery with more than 3500 minimal invasive surgical interventions, Dr. Mattia Glauber, Director of Adult Cardiac Surgery, Sant’Ambrogio Cardiothoracic Center, Gruppo Ospedaliero San Donato, Milan, Italy presented at the GSD Minimally Invasive Aortic Valve Surgery course at Raffles Hotel, Dubai, UAE on 13th November 2017. 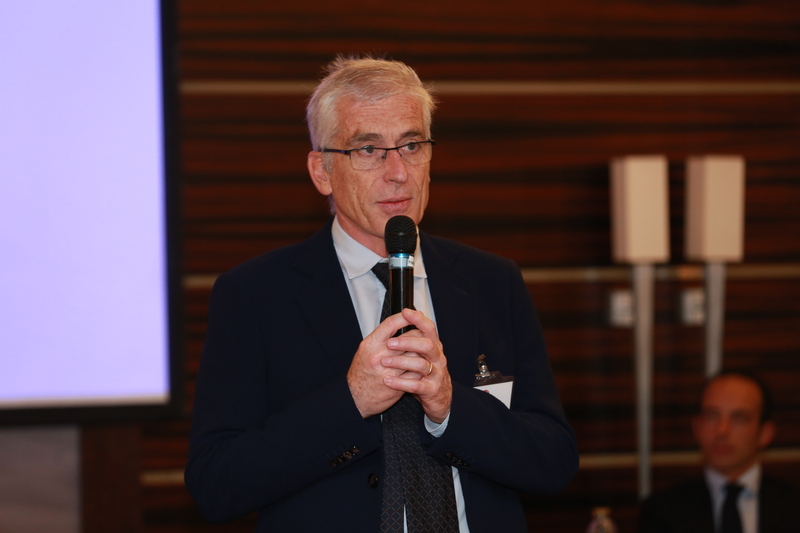 He also presented and performed MIAVR surgery at Dubai Hospital – Dubai Health Authority, Dubai, UAE on 14th November 2017 which was simultaneously screened live to delegates at the GSD Minimally Invasive Aortic Valve Surgery course. Dr. Glauber was accompanied by Dr. Matteo Ferrarini, Heart Surgeon, Cardiac Surgery Unit, Sant’Ambrogio Cardiothoracic Center, Gruppo Ospedaliero San Donato, Dr. Andrea Montisci, Anesthesiologist and Intensivist, Department of Anesthesia and Intensive Care, Sant’Ambrogio Cardiothoracic Center, Gruppo Ospedaliero San Donato, as well as Dr Faouzi Safadi, Consultant Cardiothoracic Surgeon, Dubai Hospital, Dubai Health Authority. The two days training course, covered all the procedures involved in the surgery, including tips and tricks for various techniques, including a visit to Dubai Hospital to view a live surgery. The course introduced the latest and most efficient techniques in MIAVR through an extensive theoretical and clinically relevant programme. Delegates gained valuable knowledge and practical skills.